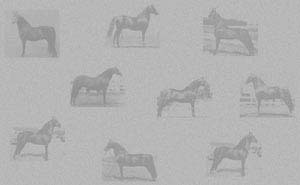 Goldfield was a product of the USDA Farm, out of the great government stallion Mansfield. He also took his place as a sire of note. One son, Magellan, was sold to the Government of China in 1947. Before he left he sired the mare Mayphil, dam of Vigilmarch and Vigilmay, and Rena, the dam of Westwold Dona Resa and Chasley Superman. His more famous son is Mentor. 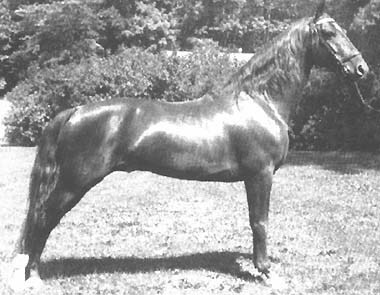 A winning show horse, he also stood at the Government Farm, siring Tutor, U S Menmar, and Trophy.